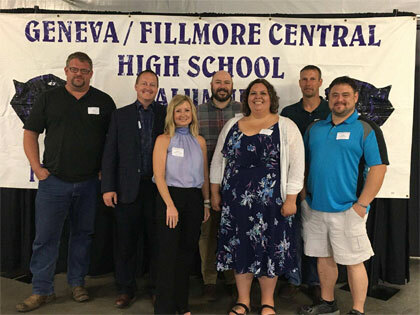 “Aged to Perfection” was the theme of the Geneva/Fillmore Central High School Alumni Banquet. 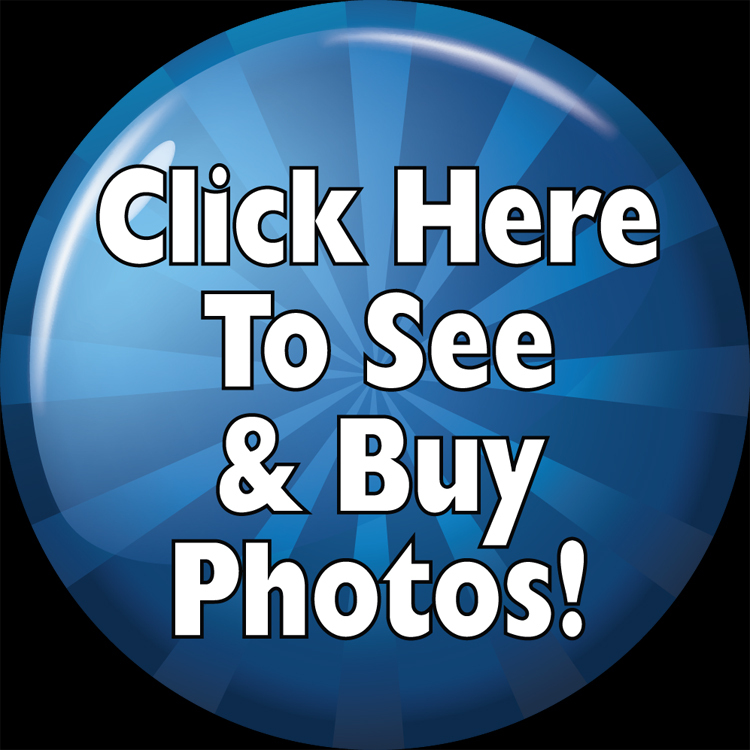 It was held May 26, 2018 at the Fillmore County Ag Hall with 156 in attendance. Sarah Roesler ‘98, President of the Alumni Association welcomed alumni and guests to the 134th Banquet. Pastor Todd Bumgarner ’98 of Lincoln, NE gave the invocation. Kerry’s Restaurant of McCool served a buffet meal of Chicken Cordon Blue, Windsor Loin, Loaded Mashed Potatoes, Buttered Green Beans, Romaine Mix Salad, and Parmesan Spinach Noodle Pasta Salad. Dessert was cake prepared by Deb Yates of Geneva. Following the meal Chandler Schelkopf, President of the Class of 2018, spoke for his fellow classmates. There were 39 seniors in their class this year. Six of them were present at the banquet. They were the guests of the association and their names were entered into the scholarship drawing. Alexis Schmidt was the winner of the $500.00 scholarship given by the Alumni Association. Justin Stofer of Gretna was the speaker for the 20-Year class. There were 45 members in their class when they graduated in 1998. There were seven in attendance at the banquet. Sarah Roesler of Fairbury, NE introduced her class. The 50-year class was represented by Joe Bixby of Geneva. In 1968 there were 58 graduates, in the past 50 years, they have lost 10 classmates. 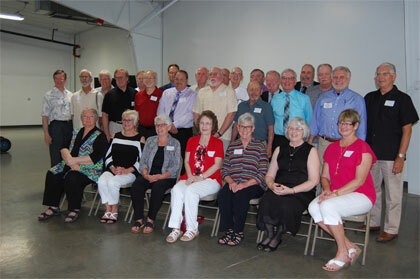 27 were present at the banquet, they were introduced by Linda Peterson Wilkins of Bella Vista, AR. The Howard Hamilton Scholarship was awarded to Conrad Schelkopf ’15. He is currently a student at Colorado State University where he in his third year of study in Veterinary Science. It was presented by Shelbi Clark Palensky ’00 and Robert Hamilton ’56, the son of Howard Hamilton, aka Mr. Alumnus. 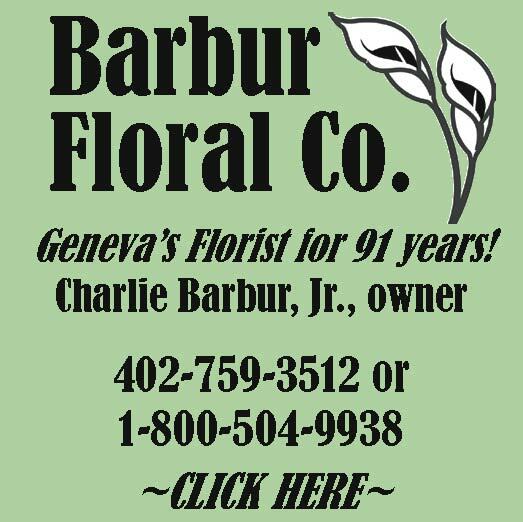 This scholarship is funded by the Hamilton family and contributions from Geneva/Fillmore Central Alumni. 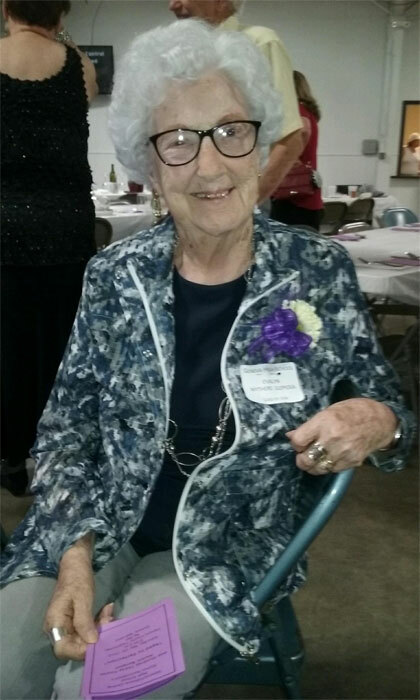 This year the oldest female graduate attending the banquet was Evalyn Wythers Slepicka ’36 and William Picard ’48. They were each recognized and given a corsage/boutonniere. Also honored was Florence “Flossie” Garrett Lefever. The 2018 Directory was dedicated to her memory and renamed “Flossie’s Book. A bouquet of roses and her picture were placed on the registration table where she often sat and greeted alumni as they entered. A short business meeting followed and the officers for 2019 were introduced. President, Sara Fleecs Schram ’99; 1st Vice President, Shelbi Clark Palensky, ’00; 2nd Vice President, Eric Johnson, ’01, Secretary/Treasurer, Jan O’Brien Miller ’79; Alumni Coordinator, Diane Christiancy Heath ’71 and Co-Alumni Coordinator, Angela Goering Hiatt ’89. Following tradition Auld Lang Syne was led by the 50-year Class. The Veteran Video was played continuously throughout the evening. Steve Carrigan continues to add more photos to the work that was done in the preceding years. Velvet Crush provided music for the dance. Hidden Hills Country Club provided a cash bar during the entire banquet and dance. 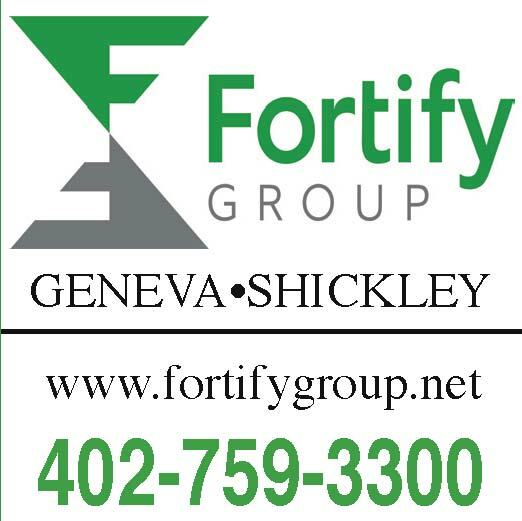 If you have not purchased a new directory, they are still available at The Signal and local banks.